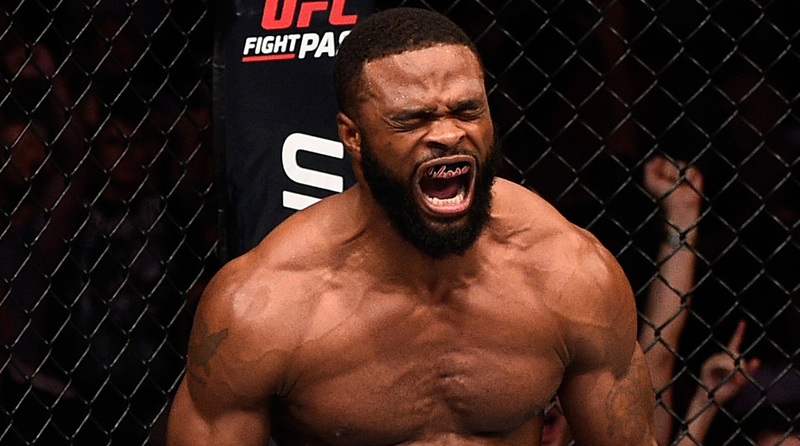 ​Tyron Woodley shocked the world by defeating Robbie Lawler at UFC 201 to win the undisputed welterweight title. Now he steps into Madison Square Garden at UFC 205 to make his first title defense, against Stephen Thompson. The challenger is a dynamic striker on an incredible seven-fight win streak that includes former champion Johny Hendricks and top-contender Rory MacDonald. His background is karate-based, so Woodley brought in Sage Northcutt as a training partner to emulate Thompson. While the odds currently have the challenger as the favorite to win the bout, here are five keys to Woodley getting his hand raised victoriously. If Woodley can hurt Thompson early, he can disrupt his entire game plan. Thompson is prepared to fight from range and take this fight the distance, trading strikes from a comfortable distance in a matchup that favors him. But if Woodley can land a clean shot early that hurts Thompson, whether it be in the open or along the cage, it can disrupt Thompson's strategy. Thompson is a talented counterpuncher, by using his superior range to maintain distance. Woodley will be in a position to lunge in an attempt to reach his opponent, which would be a mistake. It would put him in danger of the counter punch, similar to what Jose Aldo experience at UFC 194 against Conor McGregor. Woodley can't open himself up by trying to chase down Thompson. Instead, Woodley needs to try to walk down Thompson, get his back against the cage, or force Thompson to engage. Thompson will certainly attempt to kick Woodley; it's a weapon he can use from range and one he will want to use to maintain distance. But kicks, particularly those to the body, come with some risk for the fighter throwing them. If Woodley can come close to catching Thompson's kicks, he can make Thompson more hesitant to throw them. If Woodley does catch some of Thompson's kicks, he is set up for a takedown, which is a favorable situation for the champion. Woodley is a superior wrestler, and getting Thompson to the mat won't be easy, but this maneuver would be one way to accomplish it. Woodley is a superior wrestler to Thompson and it is not even close, despite Thompson working on his wrestling with former middleweight champion Chris Weidman. It isn't the prettiest way to win, it isn't the flashy knockout, but getting Thompson to the ground allows Woodley to control him and use the ground and pound to inflict damage. Woodley doesn't need to get Thompson to the mat to effectively immobilize the challenger. Much like the tactic Eddie Alvarez used against Anthony Pettis, Woodley can drive Thompson to the cage and go for the takedown. Or Woodley can keep Thomspon in a clinch alongside the cage, control him, and wear him down. It is extremely difficult to escape Woodley along the fence, an area where he uses not only his superior grappling skillset but also his raw strength to dominate his opponent.